Lock in a great price for P.P. 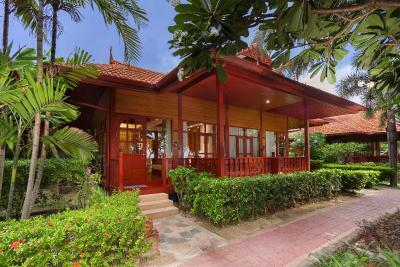 Erawan Palms Resort – rated 8.3 by recent guests! Location was great. Very beautiful. Staff and food were excellent! 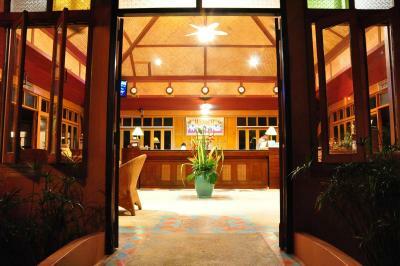 Very king and helpful staff, always ready to assist you. 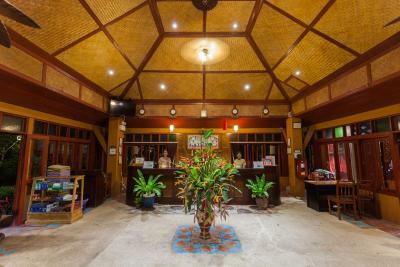 The hotel is located quite far from the centre, so it is very quiet and calm, but it makes everything almost twice more expensive. 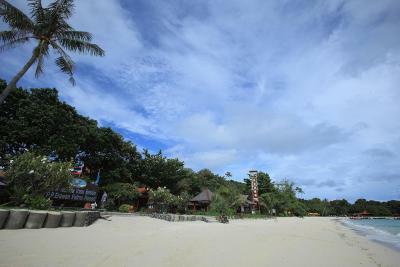 Very nice diving point, located near the hotel reception. Beautiful setting and views. Very peaceful. Staff very friendly and go above and beyond for guests. Good breakfast - chef making a variety of eggs for guests, omelettes, fried and boiled. Staff always asking if you would like more tea/coffee. Very nice food in the restaurant. Good service from staff. 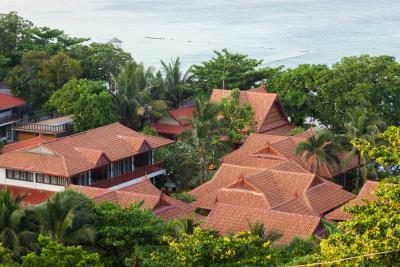 Location - nice get away from the hustle and bustle of Thailand's metropolises. Beautiful views. Meals were good, even if a little pricey. Room and bathroom were spacious. Aloe massage was great. The location is perfect. Very quiet compared to the busy Tonsai town farther south. The beach is wonderful. Plenty of massage options - beachside. Wonderful buffet breakfasts. The bed mattresses, although firm, were wonderful. The luggage assistance to the small pier for the ferry was greatly appreciated. Everything is perfect BUT make sure you know you are not expexting parties. 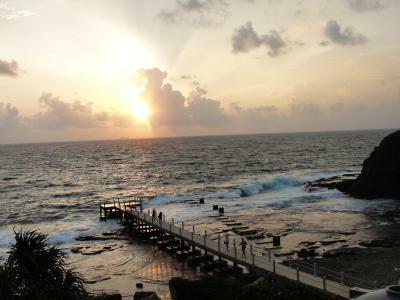 This is a quite area, not Tonsai pier are. They have excellent Thai messages right on the beach. Location was awesome. It was really quiet and peaceful. Everything was perfect! Friendliest staff. Room and facilities were perfect! P.P. 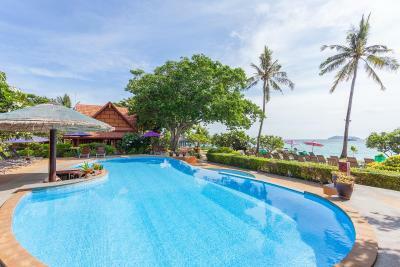 Erawan Palms Resort This rating is a reflection of how the property compares to the industry standard when it comes to price, facilities and services available. It's based on a self-evaluation by the property. Use this rating to help choose your stay! Surrounded by nature, P.P. 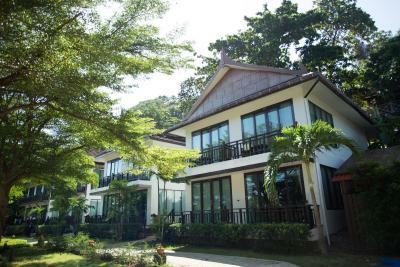 Erawan Palms Resort is in a peaceful location along Phi Phi Island’s Laemtong Beach. 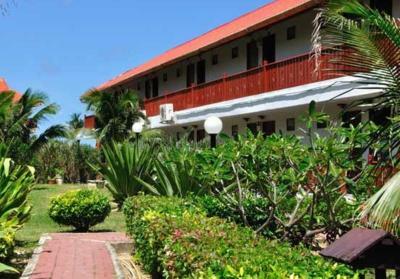 Offering lovely ocean views, it has an outdoor pool and a beachfront restaurant and bar. 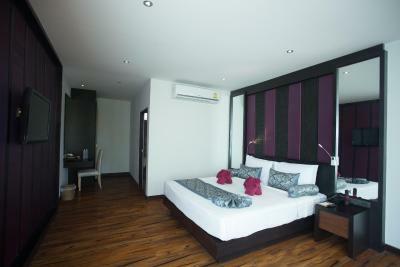 Spacious rooms at P.P. 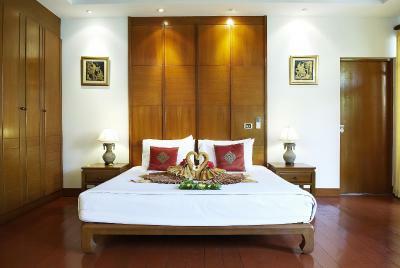 Erawan Palms feature wood furnishings and Thai décor. 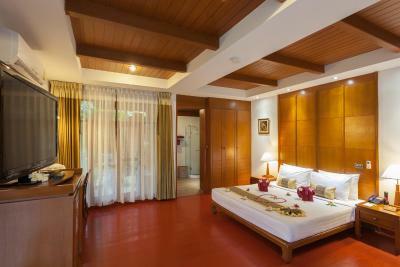 Each air-conditioned room has a balcony, a minibar, and tea/coffee-making facilities. The private bathrooms have a shower. 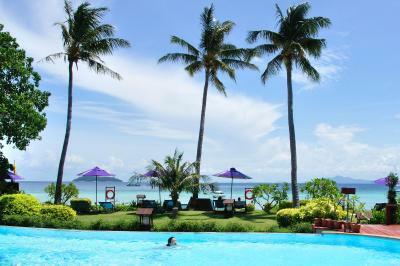 Guests can enjoy a relaxing massage on the beach, or relax on the lounge chairs by the pool. The staff at the tour desk assist guests with transport arrangements and laundry services. 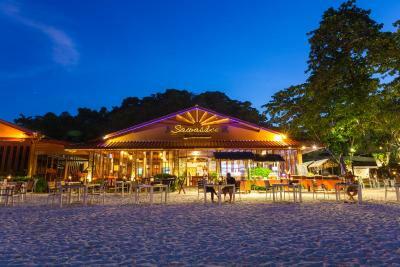 Sawasdee Restaurant serves Thai, Chinese and European dishes in an open-air setting that overlooks the sea. 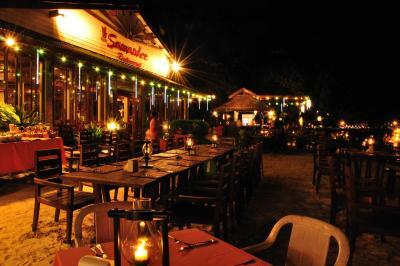 It also features seafood specialties. 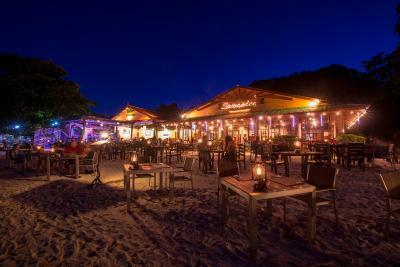 SOLO Bar is great for enjoying sunset views and sipping cocktails. P.P. 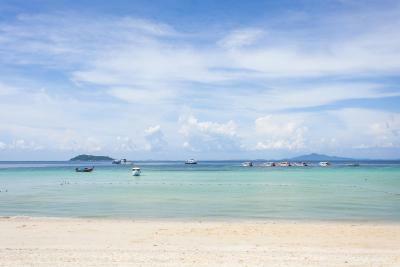 Erawan Palms Resort can be reached by boat transportation from Phuket or Krabi. Boats leave twice a day at scheduled times. When would you like to stay at P.P. Erawan Palms Resort? 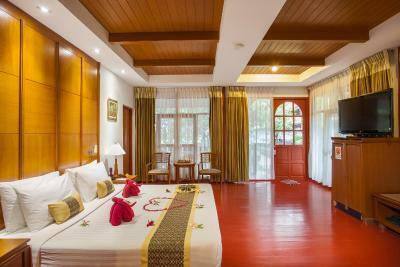 Air-conditioned room features a private balcony, a flat-screen cable/satellite TV and a mini-bar. An electric kettle and a safety deposit box. 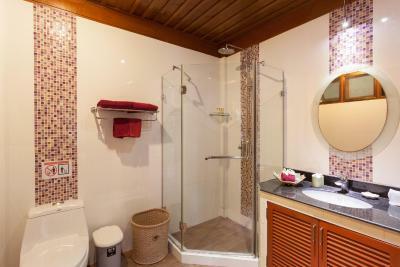 Free toiletries and a hairdryer are included in an private bathroom. 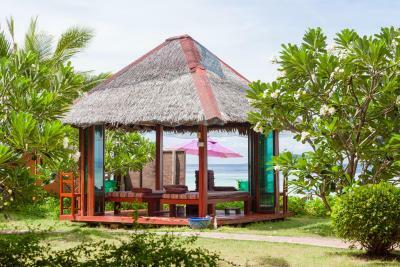 Offering more room, air-conditioned cottage features a private balcony, a flat-screen cable/satellite TV and a minibar, as well as an electric kettle and a safe. Free toiletries and a hairdryer are included in a private bathroom. 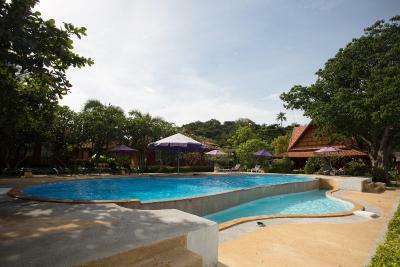 Cottage is located by the resort's pool which is next to the beach. 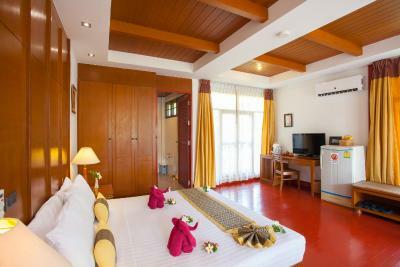 Spacious air-conditioned cottage has a private balcony, a flat-screen cable/satellite TV and a minibar. An electric teakettle and a safe. Free toiletries and a hairdryer are in the private bathroom. 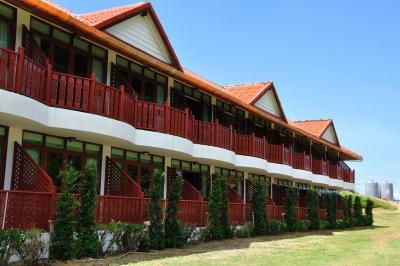 This twin/double room features a shared balcony, air conditioning and an electric kettle. House Rules P.P. Erawan Palms Resort takes special requests – add in the next step! P.P. 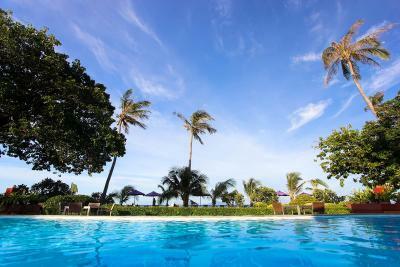 Erawan Palms Resort accepts these cards and reserves the right to temporarily hold an amount prior to arrival. The air conditioning did not work very well. Brilliant location, right on the beach! 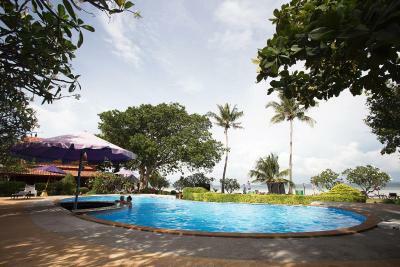 Nice refreshing beach front pool, plenty of activities and excursions on offer. 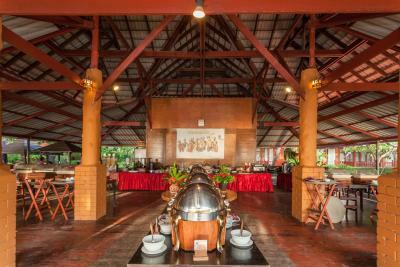 The restaurant was amazing... such delicious authentic thai food, but also plenty of other options if thai isn't for you! Too many boats outside hotel, the beach is not clean. The room could have been better - there were cracks in the front door and bathroom windows. Not a lot of storage space - e.g drawers on the bedside table. Air conditioning did not work very well. Beds were a little hard. Pool was not very clean. 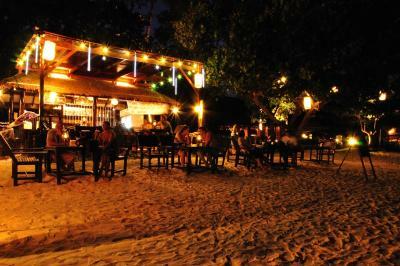 Food prices generally extremly high .this however is not the resort but the island in general . Great reception and we were really well informed on all the resort had to offer. Special mention to Mrs Wai and the young lady manning the egg station in the mornings ,but to be fair all round good service. The bed!!! Rock hard, and i mean rock hard! May has well have slept on the path outside! The location, the staff, the beach, the pool, the massages and the food!